KUHN Farm Machinery has expanded its range of minimum tillage seed drills with the introduction of a 4-metre, folding version of its award-winning ESPRO machine. A new 4-metre foldable version – the ESPRO 4000 R – has now been launched and is available in the UK and throughout Europe. 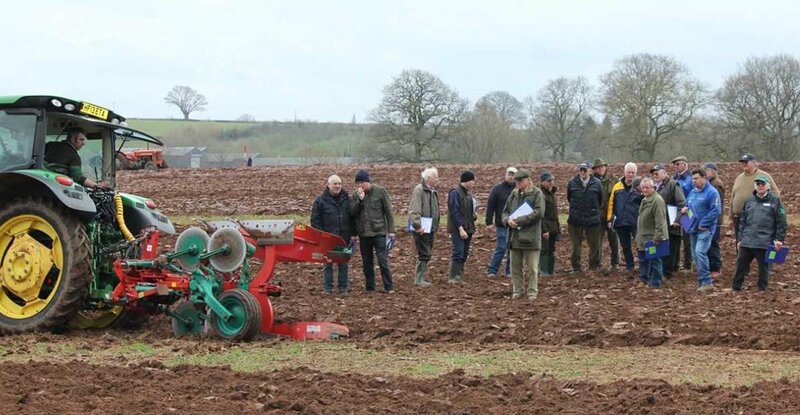 It uses two rows of cultivating discs followed by a single row of large diameter (900mm) wheels which are offset and fitted with specially designed deep tread tyres which create an ideal seed bed. The 4000 R also uses Kuhn’s Crossflex coulter bar: each coulter is mounted on polyurethane blocks which allow the individual coulters to follow terrain contours. This ensures a consistent seeding depth across the machine’s full working width and, in turn, results in homogenous seedling emergence. The ESPRO 4000 R requires very little power to be operated and can be used with tractors with as little as 140hp. Despite its low power requirement, the new machine boasts high drilling speeds and is compatible with a wide variety of seed types and sizes. Adjusting the ESPRO’s settings such as seeding rate, drilling depth and tamping pressure is simple and easy to do via a user-friendly VT50 or CCI200 ISOBUS control terminal. The same terminal also operates the machine’s automated headland turn function. It can also be fitted with optional front press wheels – with in-cab pressure adjustment – to pre-level the soil in front of the working discs and to prevent the machine from sinking into lighter or wet soils.